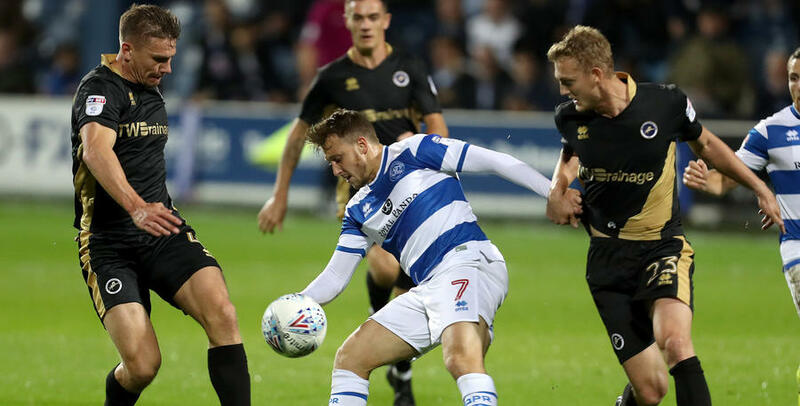 SECOND-HALF goals from Mass Luongo and substitute Matt Smith saw QPR overturn a two-goal deficit to draw 2-2 with ten-man Millwall at Loftus Road. An action-packed London derby for the duration, Neil Harris’ Lions were two up thanks to well-taken efforts from Conor McLaughlin (six minutes) and Jed Wallace (50). 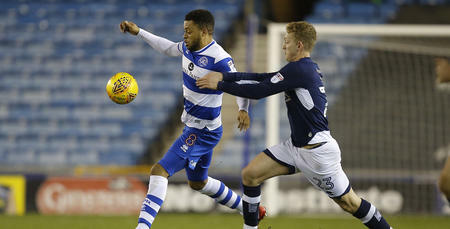 But sandwiched in between that was the 41st-minute dismissal of Millwall’s Lee Gregory, for a late challenge on Josh Scowen – and the R’s cranked up the pressure late on to take a share of the spoils. First Luongo arrowed in a 73rd-minute shot to bring the Hoops within a goal of their visitors, before sub Smith thundered home 12 minutes later to earn Ian Holloway’s charges a gutsy point. Following an impressive performance from his team in Saturday’s 2-1 victory over Ipswich Town in W12, R’s boss Holloway named an unchanged starting XI for this capital clash. That meant Rangers – in their now-accustomed 3-5-2 formation – lined up as: Alex Smithies; Alex Baptiste, Nedum Onuoha, Jack Robinson; Pawel Wszolek, Scowen, Luongo, Luke Freeman, Jake Bidwell; Conor Washington, Jamie Mackie. The game got off to a lively start. Less than a minute had been played when R’s custodian Smithies was forced into a stunning reaction save from Gregory. The Millwall forward shot from six yards after strike partner Steve Morison flicked on a long throw. On a wet west London evening, the contest was fast-paced early on as the ball zipped around the playing surface as a result. In truth, the visitors were the better side during the opening stanza – exemplified when Millwall took a sixth-minute lead. Quite simply, there was nothing Smithies could do about McLaughlin’s blockbuster effort – the full-back firing into the top left-hand corner when the ball sat up nicely on the right corner of the penalty area. Rangers had struggled to settle, but Freeman did force Jordan Archer into a smart stop in the 21st minute. 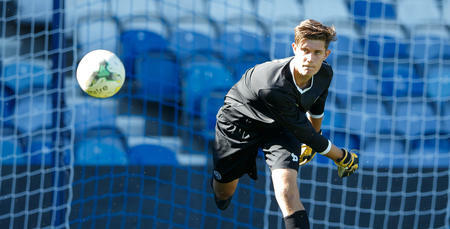 The Lions goalkeeper repelled the former’s 20-yard blast. QPR also had strong appeals for a penalty waved away seven minutes later. Video replays showed that goalscorer McLaughlin appeared to hold Washington, though a spot-kick award wasn’t forthcoming. Millwall spurned a decent opportunity to add a second goal on the half-hour mark. A ball from deep was met by Morison on eight yards, but he could only head straight at Smithies. Four minutes later, Smithies had to produce another smart reaction stop. This time he kept out George Saville’s six-yard header, who rose to meet a free-kick into the box. A goal to the good, the visitors had looked much more threatening in attack and, in the 37th minute, Byron Webster’s headed effort from a corner dropped just over. But the game took a twist when Millwall were reduced to 10 men four minutes before the break. Gregory was given his marching orders, as referee Roger East produced a straight red card for the striker’s late challenge on Scowen. A man up, Rangers so nearly levelled matters on the stroke of half-time. First Archer saved well from Luongo, before Washington’s follow-up effort crashed back off the right-hand post. At the other end, meanwhile, Millwall were again inches away from doubling their lead. With Smithies off his goal-line, Morison tried his luck from distance. Thankfully for Smithies and his team-mates, though, the ball dropped wide of the left-hand post, before the half-time whistle was sounded. Rangers made their first change ahead of the second half. Skipper Onuoha made way for Smith. And it was Smith who went close just moments after his introduction. Visiting ‘keeper Archer collected the former Fulham man’s 15-yard blast at the second attempt. However, despite QPR’s numerical advantage, they went two goals behind in the 50th minute. Shaun Williams’ ball over the top caught the home defence napping, before Wallace drilled through the legs of Smithies from 10 yards. Holloway wasted little time in making a second substitution after that. Idrissa Sylla replaced Washington in the 52nd minute. And nine minutes later came the Hoops’ third and final change. Kazenga LuaLua was also introduced, for Mackie, as Rangers began to apply some pressure. In the 65th minute, Luongo thumped a low 20-yard attempt straight at Archer and, soon after, Freeman’s effort from a similar distance was blocked by a crowd of Millwall bodies in the box. Rangers went even closer seven minutes later. Bidwell crossed for Smith – Smith’s header was tipped around the post by Archer. But the R’s would reduce the deficit from the resultant corner kick. Freeman’s delivery eventually fell to Luongo, whose bullet effort flew past a host of bodies and into the back of the net. The atmosphere inside Loftus Road was terrific as Rangers continued to lay siege to the Millwall goal. In the 78th minute, Luongo’s low thunderbolt was parried by Archer, before the ball struck Smith – who was in close proximity to the visiting goalkeeper – and trickled wide. Three minutes later, meanwhile, Scowen’s blockbuster half-volley forced another fine stop from Archer, who pushed the ball behind. QPR were beginning to knock on the door for a second and, in the 82nd minute, Luongo’s thunderbolt from the subsequent set-piece flew just past the left-hand post. But the equaliser would finally arrive in the 85th minute. Sub Smith hauled Rangers level, turning on a loose ball in the box before smashing home past Archer. Rangers were level. Could they now add a third to register a remarkable victory? Unfortunately not, though Freeman did go ever so close in the fifth minute of additional time at the end. His free-kick struck the crossbar, before proceedings were brought to an end soon after. 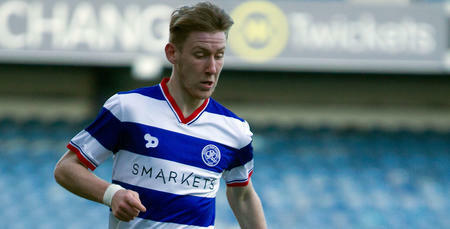 WATCH over 17 minutes from an action packed 2-2 draw with Millwall at Loftus Road.